is called the waking state. it is called the dreaming state of the self or soul. The Eastern mind divides consciousness into four states: one is when we are awake, or the first; the second is dreaming; the third is deep sleep, dreamless; and the fourth is beyond all the three, the turiya, the fourth. What is this which we call the awake state of consciousness? Knowledge, knowing is possible in two ways: mediate and immediate. Mediate knowledge means knowledge through some means, not direct – indirect. Senses are the means, the windows through which we know the extension beyond us. But the knowledge gained is indirect; it is not a face-to-face encounter, the mediator is in between. The senses are mediators, and when senses inform us of something, it is not a simple information, it is an interpretation also. The senses are not just passive receptors; they are positive interpreters also; they impose something, they add something to the information. So whenever anything is reported by the senses to the consciousness, it is not a passive receptivity; the senses have added something to it, they have interpreted it, they have imposed something on it. This imposition creates an illusory world around every consciousness, and everyone begins to live in a world of his own. This world, the Eastern esoteric mind says, is the maya, the illusion. It is not the real, the objective, that-which-is: it is something that you have created. Everyone is within his own world, and there are as many worlds as there are minds. So whenever two persons are near, two worlds are in collision. And otherwise is not possible, because you have not known the objective as it is. The second dimension, the alternative dimension to know the world as it is, is not through senses, but through transcendence of the senses. And human consciousness can be in a direct encounter: the senses are just dropped; and still, knowing happens. That knowing is about the truth, because there has been no mediator. Now you have known directly. To know the truth through the senses is maya; to know the truth immediately, directly, face to face, is brahman. That which we know remains the same, but the knower changes. If he is using senses, then he creates an illusory perception; if he is not using the senses, then he is face to face with the reality. Meditation is the path of how to drop the senses, how to drop the windows and just to be in reality without anyone in between. The rishi says that this contact with the world through the senses is the first state of consciousness, the awake state of mind, jagrut. When you are in contact with the world through the senses, this is jagrut – the awake state of the mind. Dreaming is the second state, deeper than the state we call the awake. Dreaming is a substitute state, secondary, but deeper. Whatsoever has been left unfulfilled in the state when you were awake has to be completed. Mind has a tendency to complete things. If you leave something incomplete, then you will create a dream to complete it. The mind tends to complete a thing. You must complete it; otherwise, there is something restless inside. You have seen a beautiful figure, but you couldn’t look at it as you liked, as much you liked. Now a lingering incompletion will continue inside. You can suppress it when you are awake – you are occupied in many other things, and the suppression is possible – but when you go to sleep, the incomplete link unfolds a dream and completes the thing. This state of dreaming, the rishi says, means without the instrumentality of your senses. The senses are closed – they are not aware of the world beyond you; now you are within your cells, within your body, but still you can create your own worlds. This creation of your own worlds in dreams becomes possible because your mind is a conditioning of everything you have known, you have felt; everything has been accumulated in it. It is an accumulation, not only of this life, but of all the lives one has lived; and not only of human lives, of animal lives also; and not only of animal lives, but of vegetable lives also. So in a dream you can become a tree; in a dream you can become a lion. Sometime you have been a tree: that memory is still there – it can unfold. This unfolding of past memories, of past lives, means only that you have never lived totally – always partially. You have not loved totally, you have not been angry totally, you have not been anything totally. Everything is incomplete. So many things incomplete inside, create the situation in which dreaming happens. The moment one begins to live totally, everything is completed, dreaming ceases. A christ, a buddha, will not dream, because he has not left anything incomplete. A Jesus says this moment is enough – live it totally. Do not think of the other moment that is to come; do not think of the other moment that has gone. That which has gone is no more, and that which has not come yet, has not come yet. Both are non-existential. This moment, this very moment, this passive moment is the only existential time. Live in it! And leave all else aside. Be totally in it, then there will be no dreaming, then everything is complete. And by the night, when you are dropping into sleep, nothing is incomplete and needs to be completed. And when dreaming ceases, mind becomes more aware. This is the second state: dreaming. When dreaming ceases you become more awake; and when there is no dreaming in the night, in the morning when you are awake, you have more innocent eyes, more fresh, more alive. In your eyes there is no dust, there is no smoke; the flame is clear without the smoke. Dreaming creates a smoke around your eyes. And one who has been dreaming in the night, really goes on dreaming in the day also. Deep down there is always a continuous dream film. You are hearing me: just close your eyes and look inside and there is a dream unfolding. You are too occupied outside, that’s why you cannot become attentive to your inside dreaming; but the dreaming continues. Look at the sky; there are no stars now. Where have they gone? They cannot go anywhere; they are where they have been in the night, but only because of the sun, we cannot see them. Our eyes are so occupied with the sun, they cannot penetrate through to them. They are still there. If you can go down into a deep well, even in the day, you can look at the stars, because then there is a gap of darkness and again stars appear. Just like this, you are continuously dreaming. But when you are occupied in the outside world, the dreaming continues inside without your being attentive to it. The moment you are not occupied, relaxed, you become again aware of the dreaming. This is a constant state – in fact, continuous. And this dreaming is more indicative about your mind than whatsoever we call being awake, because it is less inhibited, less suppressed, more naked and therefore more true. So, if your dreaming can be known, if your dream can be known, much is known about you. You cannot deceive – in dreams, at least. They are still not a part of your will, they are not voluntary. You are not the controller; that’s why they are so wild, so animal-like. This second stage must be penetrated, must be transcended. Only then we can come to the third – still deeper, the deep sleep, the dreamless sleep. The more you go deep inside, the nearer you are to existence. The deeper you go to the center, the nearer you are to the center of the universe. These three are concentric circles around the center: awake, dreaming and deep sleep. These are three concentric circles. If you transcend all these three, then suddenly you are face to face with your own center. Then you are centered in it. That centering is all. That centering is to achieve the deathless. That centering is to be deep inside the heart of the universe. That centering is divine realization. Dreaming has to cease, one must cease dreaming. Dreaming has to be transcended – dreaming is the barrier. A dreaming mind can never know the truth; a dreaming mind is bound to live in illusory worlds. Dreaming is the problem, and if dreaming stops…. And it stops when ambition stops, it stops when desiring stops, it stops when one begins to live moment to moment, just here and now. If you can remember two words, “here” and “now,” dreaming stops. Be here and now, and there can be no dreaming, because dreaming is always from the past and for the future. It originates in the past; it spreads into the future. Dreaming can never be in the present. To be in the present and to be in a dream is impossible; they never meet. So if one is awake, aware, attentive of the time that is just here and now, dreaming stops. And when dreaming withers away, you can become aware, really aware; you can really become awake. And when you are awake, this awareness can penetrate the third state of consciousness: dreamless sleep. Really, in no language other than Hindi, is there a word for it – sushupti. In no language is there a word for it – sushupti. Sleep is not sushupti – that’s why we have to add dreamless sleep. It is not just sleep, it is non-dreaming sleep – without any ripple of the dream, with no waves of the dream. The ocean is totally silent, not even a dream is there to disturb. Then you are in sushupti – the third state, dreamless sleep, the non-dreaming sleep. But you can never become aware of it unless dreaming ceases. The waves must cease; only then can you become aware of the ocean; otherwise, you are always aware of the waves. Waves are on the surface, so when you see, you see the waves, not the ocean. The waves must stop totally. Only then, for the first time, do you become aware of the ocean, the waveless ocean – the dreamless sleep. And if one can become aware of dreamless sleep, one transcends sleep. One transcends sleep only when one becomes aware of it. And then you are turiya, the fourth; then you have passed all the three. This fourth is the being; this fourth is the search. For this fourth effort is needed. And one may go on continuously dreaming and dreaming and dreaming – one can never achieve this fourth state through dreaming. That’s why there is so much insistence on non-desiring, non-ambition. The buddhas go on saying, “Do not desire,” because if you desire then dreaming cannot cease. The buddhas go on saying, “Do not be attached,” because if you are attached the dreaming cannot cease. Do not be ambitious, do not long for any becoming, do not think in terms of the future; otherwise, dreaming cannot cease. And unless dreaming ceases you will never be. You can never be! You will always be a becoming, just a becoming: “a” changing into “b,” “b” changing into “c,” “c” changing into “d” – and always the longing for the far off. And then you go on running, and you never reach; then you go on becoming this and that and you are never a being. The being is here and now. Drop dreaming and you are there where you have really been always, but you were never aware. All meditation techniques are just anti-dream efforts, just dream-negating devices. is insensitive to sound, touch and such other objects. the fourth state of consciousness, the state of turiya. Consciousness in itself is nothing. One is always conscious about something; so the “about” is important. Consciousness is always objective: you are conscious of something. If there is nothing in front of you, consciousness will drop – you will not be conscious. This state, the oriental religious perception says, is the sushupti; this is the third state. When there is no object to be known, the knower is lost. When then is no object in the outside world to be aware of, and when there is no object in the mind, dream object, when all objects have dropped – outside all are dream objects – then consciousness drops. Then you are not conscious; then you are unconscious. This unconsciousness is sushupti, the third stage. But this is amazing: it means that we are not conscious really, we are only objectively conscious. We have not known ourselves, we have known only objects and things. Our consciousness is other oriented; it is not self-centered. I can be conscious only when something else is present. When nothing is present I will go to sleep. I have not known any subjective consciousness which can exist without the object. That’s why in the third state, consciousness equals unconsciousness – it becomes unconscious. When there is no object as a challenge, one becomes unconscious. So this consciousness, this so-called consciousness, is just a struggle, just a challenge, just a constant stimulus-response; it is not anything in itself. You are not the master of it; you are not really conscious: you are only being forced to be conscious constantly. Everything is forcing you to be conscious; otherwise, to go to sleep will be the spontaneous act – one will just drop into a coma. So can we call it consciousness? It is not. This state is not the state of self-consciousness, it is just a constant tension between you and the world, between you and the thoughts. If there are no objects and no thoughts, you drop… and be unconscious. This is the third state, sushupti. And unless one transcends it, one cannot be called conscious. If you become self-conscious, then you develop the individual; then you become the individual. If you are not self-conscious then you are just one object among other objects, and there is nothing more. Gurdjieff’s teaching makes this central point the supreme point. He says, “Try to remember yourself without any object. Try to remember yourself without any object, without any relation to anything else. Remember yourself directly, simply.” It is very arduous; in a way it seems impossible. You cannot remember yourself without in any way relating to something else – Can you? Whenever you feel, you feel in relation to: someone’s son, someone’s daughter, someone’s husband, being rich or poor, belonging to this country or that, being healthy or ill – but this is all in relation to something else. Can you remember yourself without any relation? – Unrelated? Without any context? Just you? It becomes inconceivable. Really, we have not known ourselves, we have known only in relation. And this is the miracle: you know yourself in relation to someone, who knows himself in relation to you. See the absurdity of it! Everyone knows themselves because of others – and the others know themselves because of him. Everyone is ignorant, but by being related with other ignorant people, you become wise. You know yourself because you know your name, you know your house, your address, your city, your country – and not for a single moment have you known who you are. This sushupti, this third state of unconsciousness must be broken apart, must be penetrated beyond. One must become aware of oneself without being related to anything else – this is self- knowledge. This fourth is known as the turiya. We must make a distinction between the being and the states. Any state, whether it is awake, or dreaming, or non-dreaming sleep, cannot be synonymous with the being, because the being is that upon which these states happen. The being is one who goes through all these three states. He cannot be identified with any; otherwise, he cannot move. You cannot be awake if you are identified with dreaming: if you are dreaming, then you cannot be awake. If you are awake, then you cannot go into sleep. But you move – just as one moves into one’s house and out of one’s house, you come in and you go out; so you cannot be identified with the inside of your house or the outside of your house. You move: you can come in; you can go out; so you become the third. You move from dreaming to non-dreaming; you move from sleep to dream, from dream to wakefulness. This is something very subtle to be understood. No, this fourth never goes anywhere; those states come upon it and pass – this fourth remains in itself constantly. Dreaming comes over it just like clouds coming over the sun. The sun remains, then there are clouds, then the clouds have gone. This fourth is the non-moving center within you. Dreams come, then objects are seen, then thoughts are seen; then objects drop, and thoughts drop, and you are engulfed in a dark sleep; but the fourth remains its center – it has never moved. That’s why no name has been given to it; no name is needed – it remains the nameless. One has to penetrate to this fourth. This is not a state really; when we talk we have to call it the fourth state, but it is not a state. All the three are states; this fourth is beyond these states. This fourth is the being – this fourth is the very nature of one’s self. Unless one goes to this fourth, unless one becomes aware of this non-moving center, unless one is centered in it, there is no freedom and there is no bliss. Really, there is nothing except dreaming, many many dreams, many types of dreams; but nothing else – just bubbles in the air. This fourth…. How to achieve this fourth? How to reach this fourth? How to penetrate this deep sleep? How to destroy this darkness within? What to do? The one basic thing is to be aware first: in the first state when you are awake, be aware. Be aware whatsoever you are doing. Walking on the street, then be aware that you are walking. Let your awareness be double-arrowed: one arrow conscious of the act of walking, another arrow going deep inside and aware of the walker. Listening to me, be aware, double-arrowed: one arrow of your consciousness going outside listening attentively, another going inside constantly aware of the listener. Mahavira has a very beautiful word. He used “listener”, shravak, with a very original meaning, and he has given a very new shape, a new nuance to it. He says if you can be simply a right-listener, nothing else is needed. This much will do: if you can be a right listener – samyak shravak. If you can listen attentively with double-arrowed attention, then this much is enough, you will be awakened. No other discipline is needed. Buddha has used the word, “mindfulness” – samyak smriti, right mindfulness. He says whatsoever you are doing, do it mindfully; don’t do it in sleep, do it mindfully – whatsoever you are doing. Do it consciously, then consciousness begins to crystallize in the first state, wakefulness. When you have become conscious, when you are awake, the your consciousness can penetrate the second state, dreaming. It is not difficult then. Then you can become conscious of your dreams; and the moment you become conscious of your dreams, dreams disappear. The moment dreams disappear you become conscious of your dreamless sleep, and the arrow goes on. Now be aware that you are asleep, and by and by the arrow penetrates – and suddenly you are in the fourth. Religion cannot be a belief. Religion cannot be a tradition. Religion cannot be an accepted dogma. One has to discover it again and again. One has to know it for oneself, for oneself. Unless you know there is no knowledge. All knowledge gathered from others is just false, it is pseudo, it is deceptive. One has to encounter the reality oneself. This is just like love – you know if you love. If you have not loved you may know everything about love, but love will not be known, because love is not really a knowledge, it is a realization, it is an experience… rather, not even experience, but experiencing. Experience means something which you have experienced and now it is dead. Experience means something which has finished, which is finished with a full stop. Experiencing means a process, a continuous process. You have to go on discovering, discovering – and there is no end to it. Religion is like love: There is a beginning to it but no end. You have to begin it but you never reach it – you go on reaching. You go on reaching, but it is never of the past. It is not that there comes a full stop and you can say, “I have reached.” No, never. That’s why we call the religious search, the ultimate search. By “ultimate” we mean that which begins, which never ends. Rather, on the contrary, a moment comes when you are lost but the end has not been achieved. But this, this seeker being lost is the explosion. So unless you know, never believe. Unless you know, never feel at ease with words, doctrines, scriptures. Unless you know, remember continuously that you have to seek and find, that you have to go on a far, faraway journey. And that’s why religion really is the only adventure; all else is just childish. That which can be found is just childish; that which can be found is not really the adventure; that which is possible needs no courage. Only the impossible needs courage, only that which cannot be found. If you go on the search for it, you have gone on an adventure. But the moment one is ready for the impossible, the impossible become possible. The moment one is ready to take the jump, the miracle happens. You are not in a way, in the jump – you are lost. And still, for the first time, you are – you have found yourself. The states are lost, the identities are lost, the names and forms are lost. 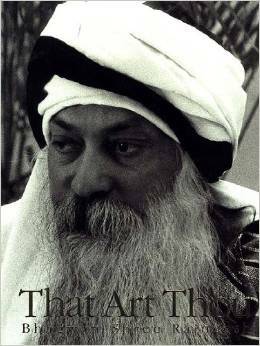 There only remains the original source of all This rishi says: These are the states; these three are the states. The fourth is the knower of all these states. These three states come out of the fourth, again are dissolved in the fourth, and the fourth never comes out of anything and is never dissolved in anything else. The fourth is the eternal principle, the eternal life, the eternal aliveness. Last year I transcends sleep for the first and watched myself sleeping. Three person were having a talk at that time. I suddenly moved between sleep and awake. I was out from my body and there was no gravity. Suddenly I moved in and got up from the bed. I even remembered what those person talked with each other. I was surprised how this happened. I was just practicising to remain aware while walking from last two days then. Even didn’t practised it intensely but for only 1 hour a day. Before this incident I had such state but not that aware like this event. Then after this incident, it keep on happening every now and then. Now the problem is I am completely unaware how this all is happening and how to move further beyond it.